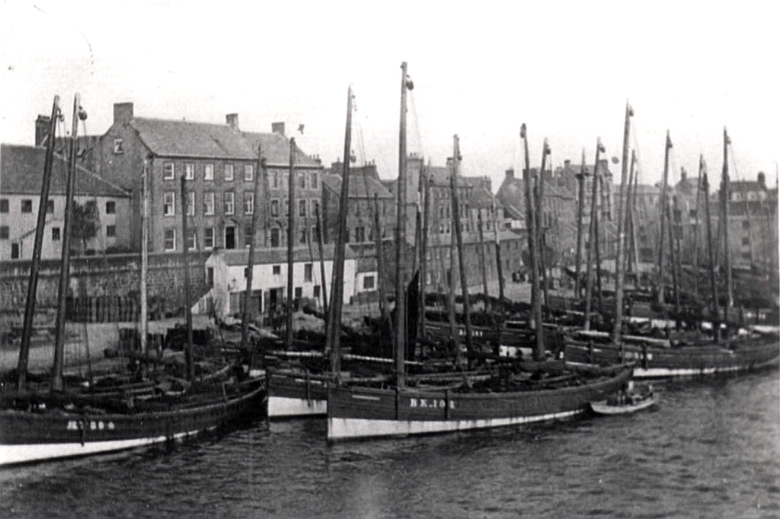 Early 1900s photograph Berwick fishing boats moored at the Berwick Quayside. Photo: Berwick Record Office, BRO 426 676. The early 19th century was ‘Boom Time’ for the herring industry in Spittal, as well as along the East Coast of Scotland and England, and this continued to be the case into the early 20th century. With generous government bounties on the herring caught and catches sold abroad from herring boats over 60 tons, it was a lucrative industry. At the peak of the Herring Boom around 1907 over 250,000 tons of herring were cured and exported. Historyshelf : Silver Darlings: The History of Herring Fishing on the East Coast of Scotland. A history of fishing both on the River Tweed and at sea, along with the related manufacturing processes which used employ a vast number of people locally, can be found on the Mouth of the Tweed website in the section on “Our Food Heritage”. 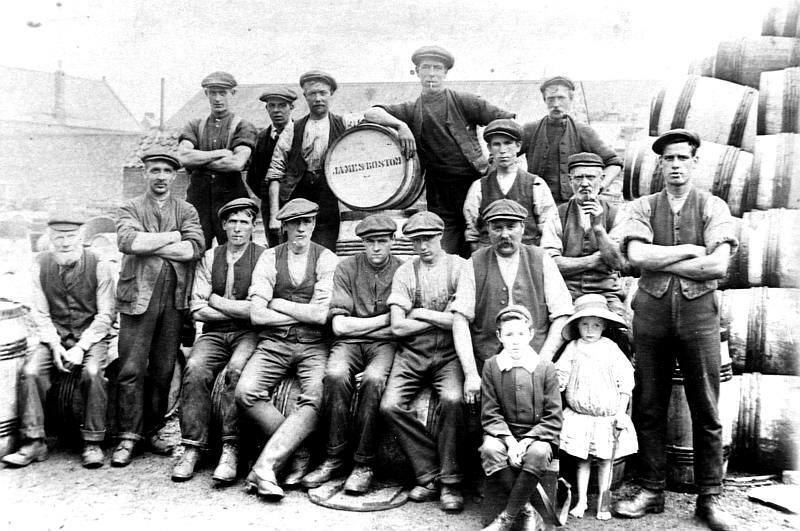 An early twentieth century image of herring workers along with two children; taken at the James Boston herring curing premises in Sandstell Road, Spittal © Berwick Record Office. Banner image: (a) Fishing fleet moored at the Berwick quayside in the early 1900s © Berwick Record Office, BRO 426-669; (b) Three herring fishing ladies at Boston’s Yard, Spittal © Berwick Record Office.